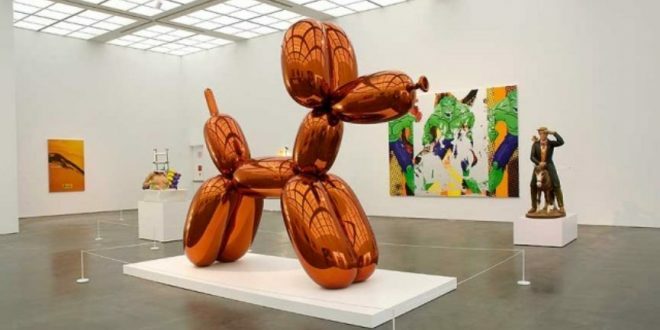 Ever wonder how art galleries verify the authenticity of their wares? It’s a lot more complicated—and a lot more precise—than you probably realize. Fortunately, art experts know what they’re doing. Legitimate art galleries, private collectors and museums use a methodical, highly accountable process to suss out provenances, lay the foundation for proper appraisals and ensure that impostor works aren’t passed off as the real thing. The College Art Association, one of the foremost arbiters of art authentication, outlines an exhaustive set of requirements for authenticators. Expert Status: Some art disciplines are blessed with a flourishing body of scholarship. It’s not hard to find experts on ancient Greek art, for instance. More obscure or novel disciplines, including certain branches of contemporary art, are a different matter. Authenticators must verify experts’ credentials—and, if a consensus can’t be reached about their expertise, look for someone else. International Considerations: The secondary market for fine art is truly global. This significantly adds to the complexity of authentication and appraisal efforts. In some jurisdictions, libel laws may apply to authenticators who (correctly or not) judge art to be inauthentic. Individual Opinions: The scholarly community is increasingly skeptical of “point source” opinions on authenticity. Wherever possible, authenticators should strive to synthesize a range of views from multiple credentialed experts, rather than shoulder the burden themselves. As art scholarship evolves and new technologies come online, the art authentication process changes apace. This list of current authentication best practices is necessarily incomplete, but it’s a good overview for non-experts who’ve just begun to delve into the dizzying world of art scholarship. And, if you’re looking to buy or sell artwork in the near future, it’s a useful tool in your accountability arsenal. If you can’t keep your authenticator honest, whom can you trust? Wherever possible, authenticators should employ technological methods (ultrasound, UV light and so on) to complement visual and documentary analysis. These methods are invaluable for spotting potential forgeries, flaws and hidden components that might otherwise go unnoticed. Wherever possible, authenticators should conduct visual examinations in person, in a wholly unrestricted manner. Photographic examination is far less reliable. Further, the examination method (photographic or in-person) should be noted on any authenticity report and on the artwork itself. Authenticators should refrain from assessing the provenance or validity of artwork with which they’re stylistically unfamiliar. Expert opinions always carry more weight. “Consensus of information” is the ultimate goal. A proper consensus must include technical and scientific analysis, stylistic analysis and documentary analysis. Wherever a situation arises to prevent a consensus of information, authenticators should consult legal counsel before proceeding or choose not to render a verdict at all. Before rendering an official opinion, authenticators must confirm with their employers that they’re authorized to speak on the organization’s behalf. If permission is not granted, authenticators must indicate that the opinion is their own personal opinion, not endorsed by any institution. Certificates of Authenticity: Necessary To Sell? When it’s time to buy and sell, what can buyers do to ensure that they’re not being scammed? What can sellers to do maximize their return on investment? Art experts advise buyers and sellers to demand certificates of authenticity (COAs). Many full-service art galleries, including Worthington, offer authentication services that produce valid COAs. Online service providers offer DIY certificates of authenticity as well, though it’s important for art owners and prospective buyers to validate these documents and ensure that they’re capable of withstanding legal scrutiny. Typically, COAs incorporate a physical (visual or equipment-aided non-visual) examination of the piece, verifiable documentation attesting to provenance, forensic testing, technical analysis, and stylistic analysis that incorporates the latest scholarship. These steps are completed by trained art historians and appraisers. Unfortunately, you can’t do them in the comfort of your own home or private art studio. Are you looking to buy or sell fine art? What are you doing to confirm its provenance?